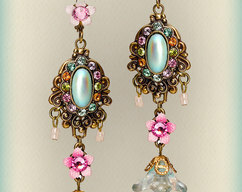 A tiny chandelier with all you can ask of a small earring; bright, colorful and dominant. 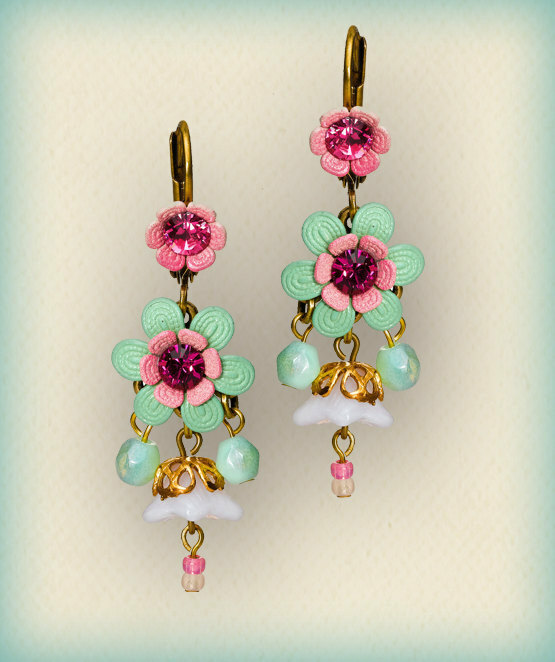 Based on the antique tri-pendent earring design, this earring brings a modern colorful twist to a classic design which is suited for any age. 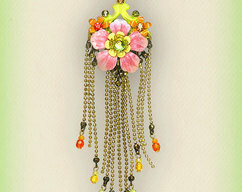 The center element is made of 2 layers of colorful flowers from which 3 small beaded pendants hang. 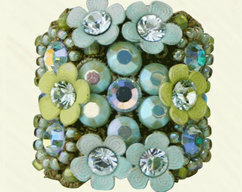 The clasp is a flower set with a center stone which catches the light bringing depth to your eyes. This earring is available in very many colors- search for the link below to see the other colors currently available at our shop. Shown with lever back but can also be ordered with a screw type clip. 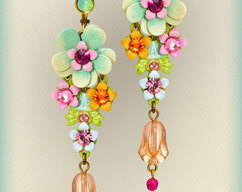 All flowers are set with original Swarovski Elements Chatons or Swarovski Elements Flat back Rhinestones. Metal is finished in Antique brass over either brass or specially designed and cast elements; nickel and lead free, creating a classic Old-Age Rustic but not shabby style to all our items. 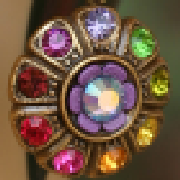 All flowers are connected to the parts with rivets so they will not fall off.